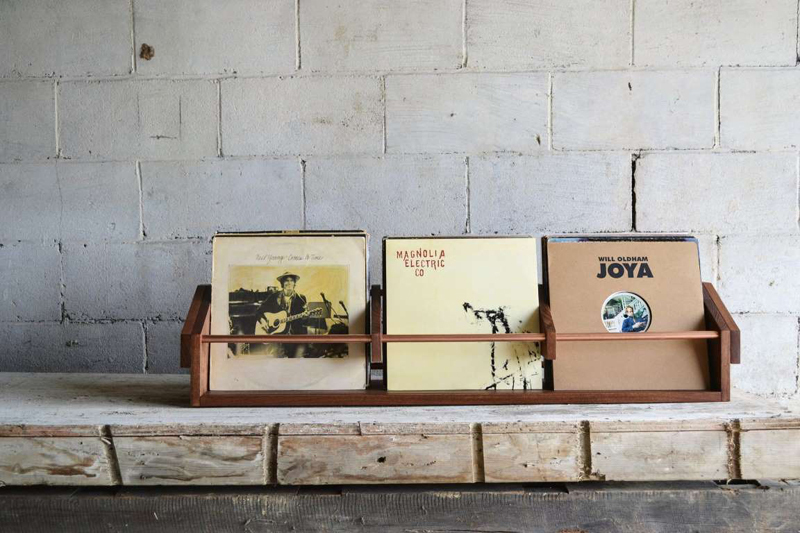 Whether you've got a small record collection of select vinyls you love or hundreds of records to store and display, you need a way to keep them organized. Style is important, but so is functionality. These clever storage options will look great in your home while keeping your records safe and easily accessible. 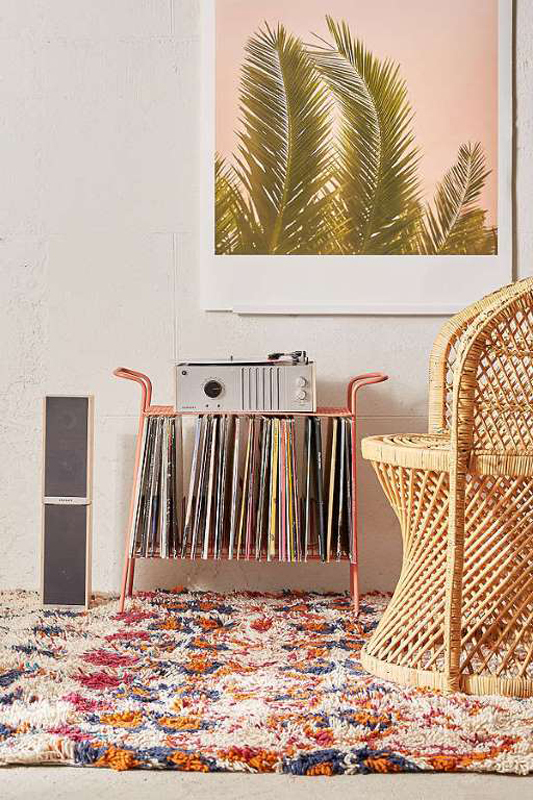 This simple storage rack comes in three colors (peach, black, and mint) and has space for a smaller vinyl collection, plus a shelf on top for your record player. 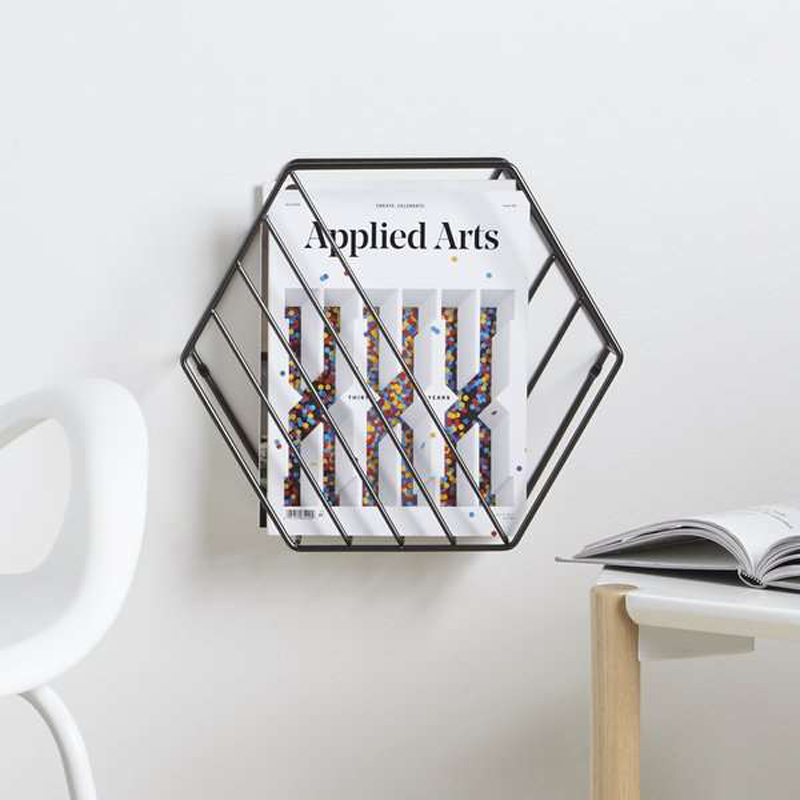 You can store records or magazines in these floating hexagonal shelves. And you can always install several of them in a fun pattern to store more records and add a little flair to your wall. 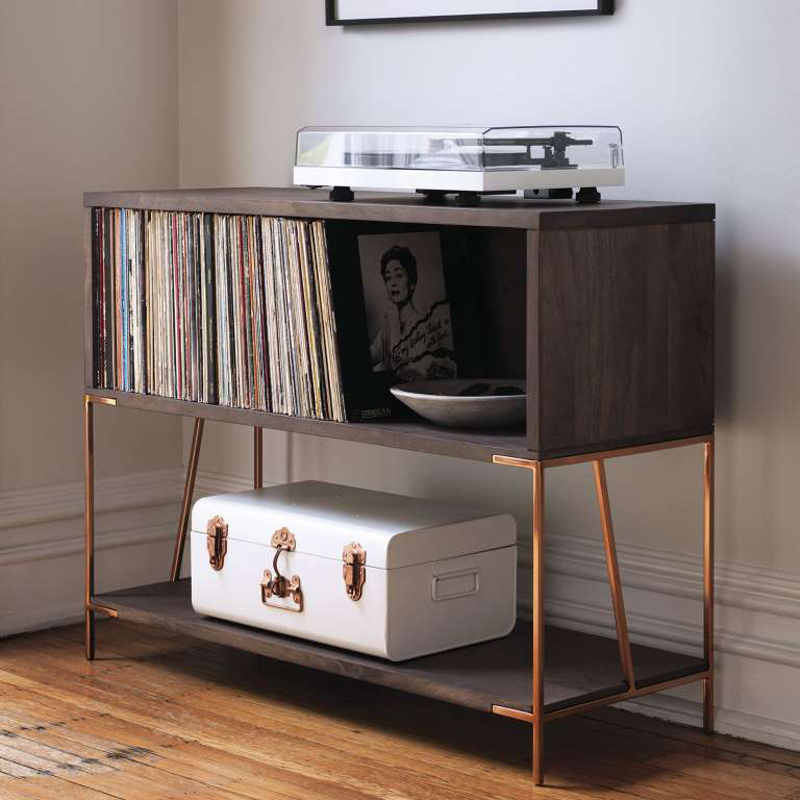 This console cabinet is designed to fit your entire record collection. If you have overflow from the top cubby, you can always put some stylish crates on the open bottom shelf to stow even more records. 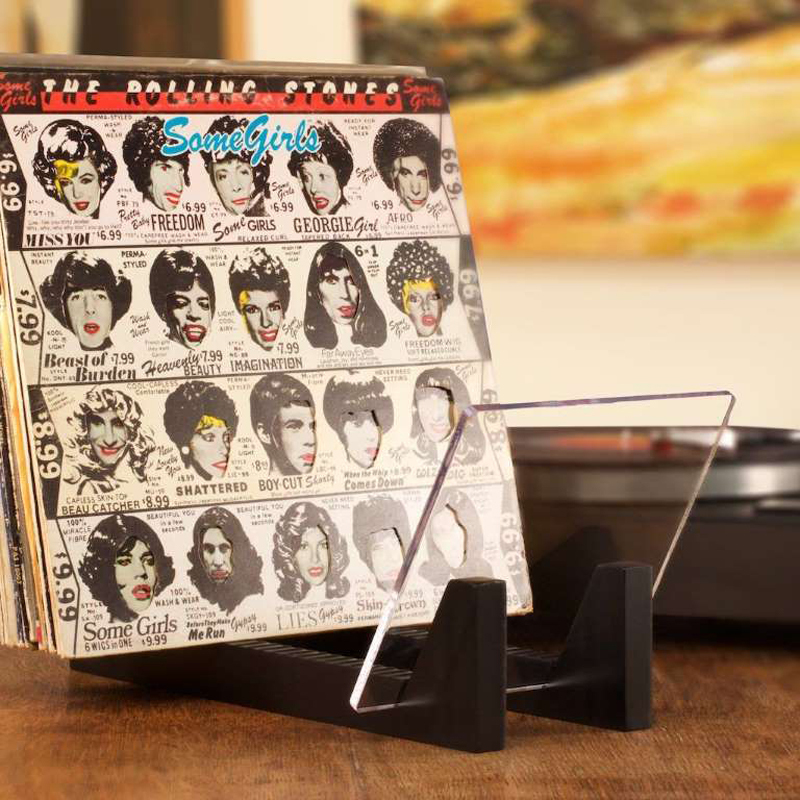 This wooden record stand holds up to 50 records, and the acrylic panels on either side ensure that you can still show off your favorites, too. 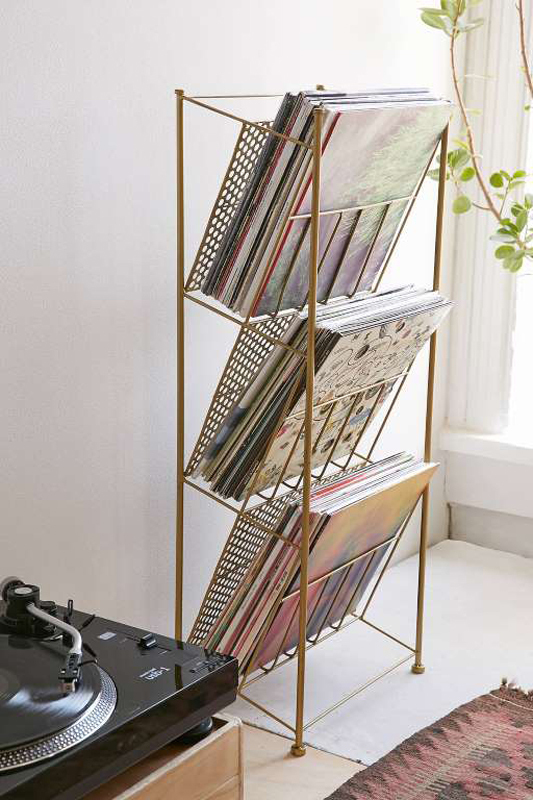 Take advantage of some vertical space with this standing gold metal record rack that has three shelves for records and magazines. 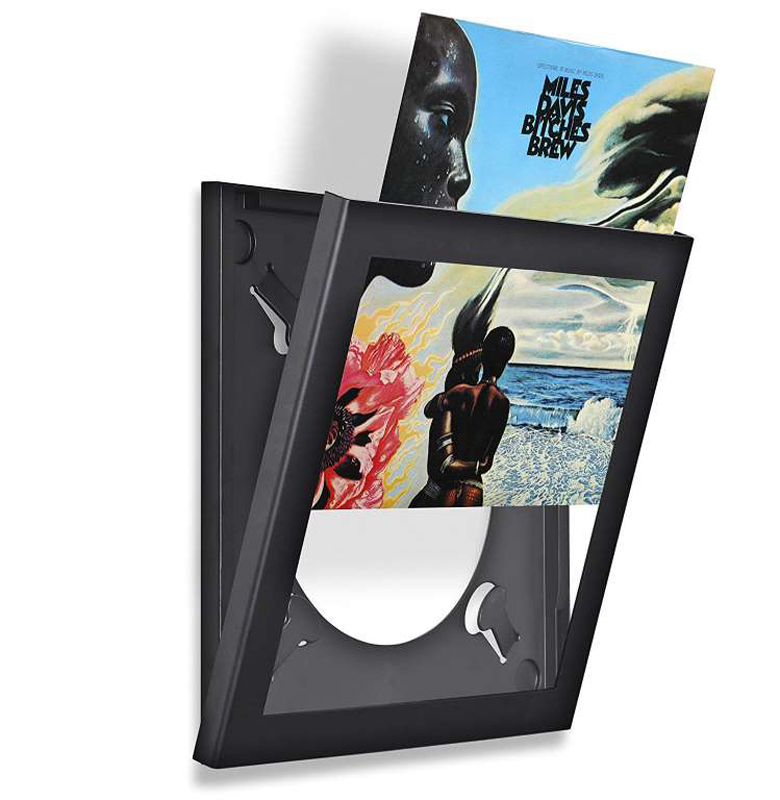 If you love framing and displaying your favorite album covers, these frames are perfect for showing them off and still listening whenever you feel like it, since they pop open. 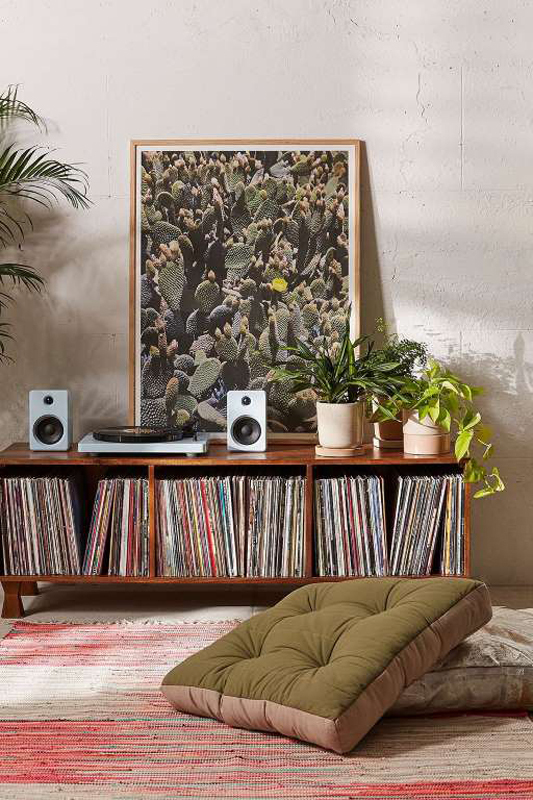 The cubbies in this credenza can hold up to 240 records, but if your vinyl collection is smaller, you can use them to stow away other things or display art and knickknacks-a win-win, really. Another way to display your favorites? 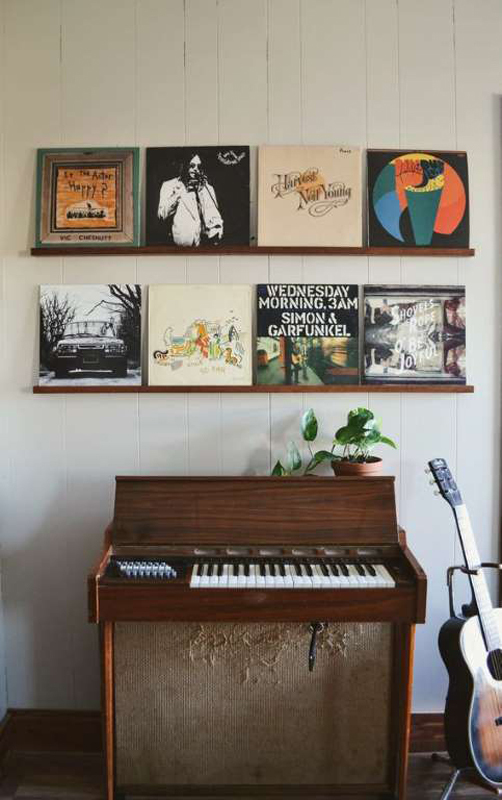 Install record ledges like these, which can show off 4 records each while looking pretty stylish on your walls. 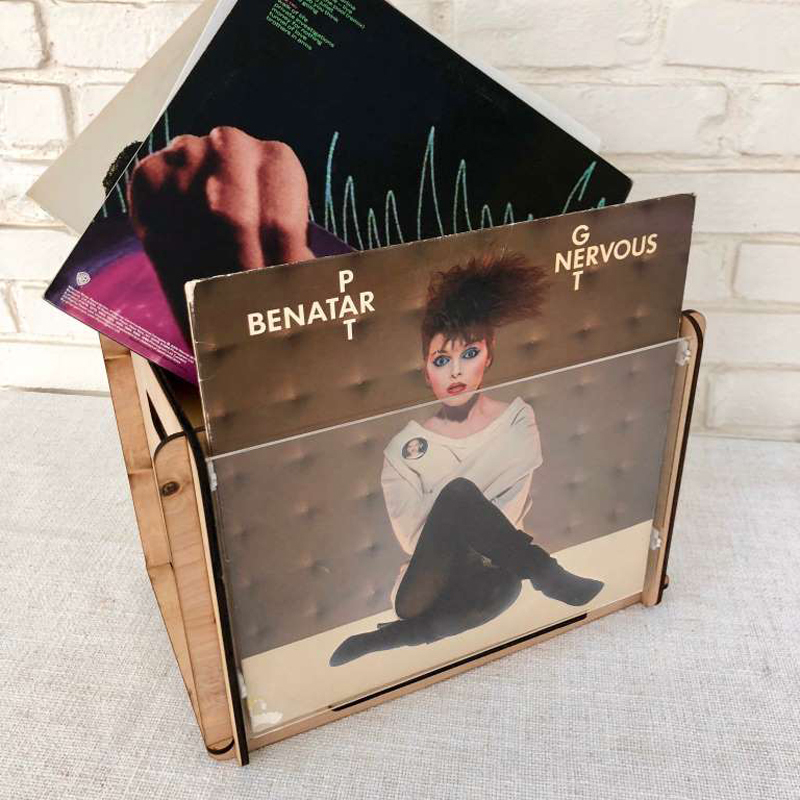 Putting your records in a crate doesn't have to mean hiding them from the world-this crate has an acrylic panel, so you can store 40 records and display your favorite in front. If one crate isn't enough, triple your storage with this three-section storage rack. Each section holds about 30 to 40 records and the open front allows you to pick three albums to show off. To get your record collection as organized as possible, invest in a divider set. 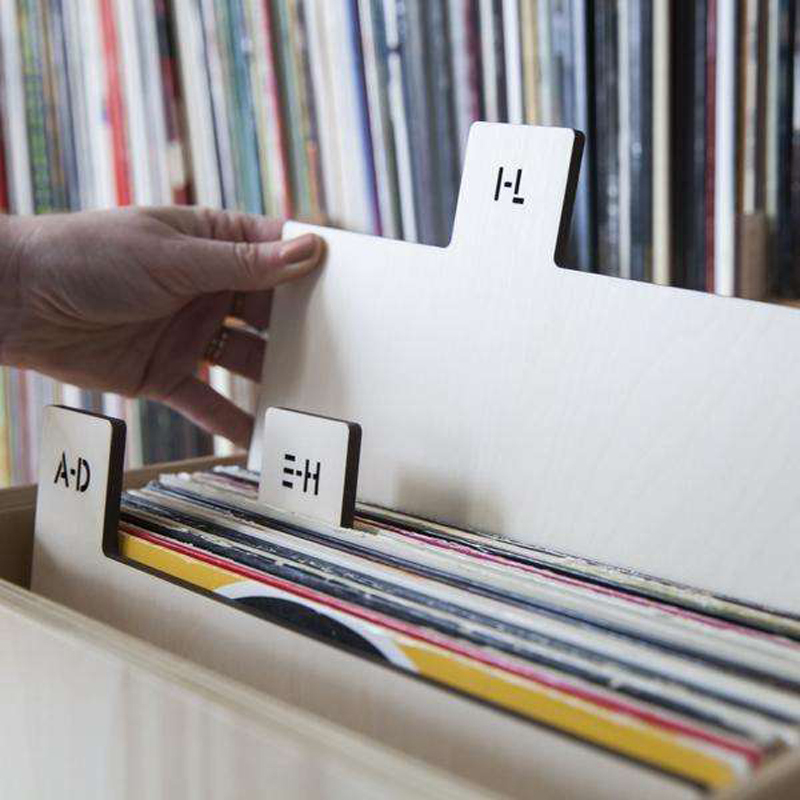 This wooden set has 6 dividers so you can store your records alphabetically, no matter how big your collection is. 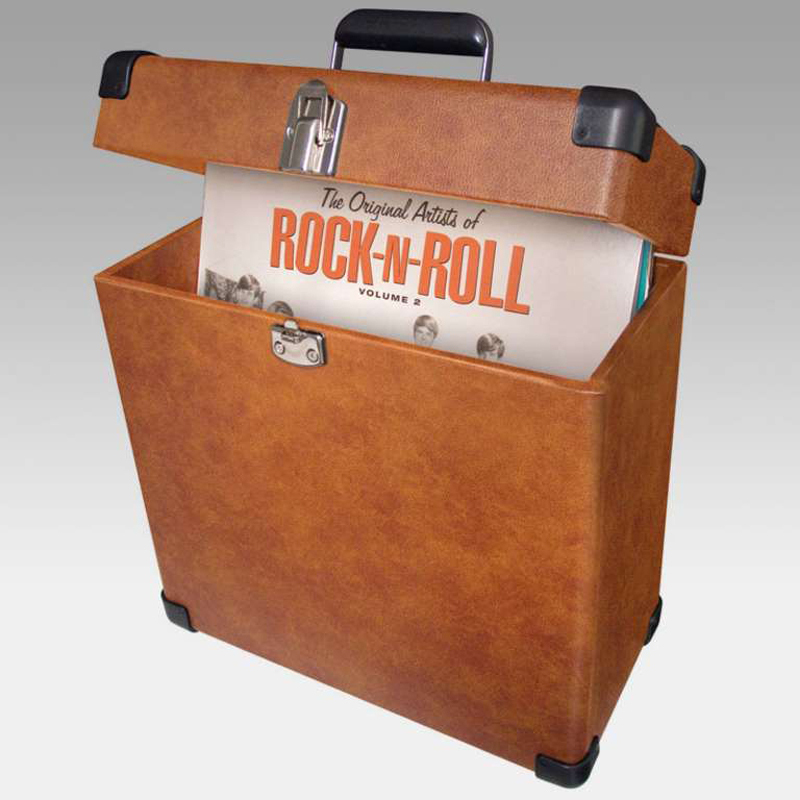 And of course, for toting your records around with you or stowing them safely away, this carrier case can fit up to 30 records and has a nice brown leather finish.